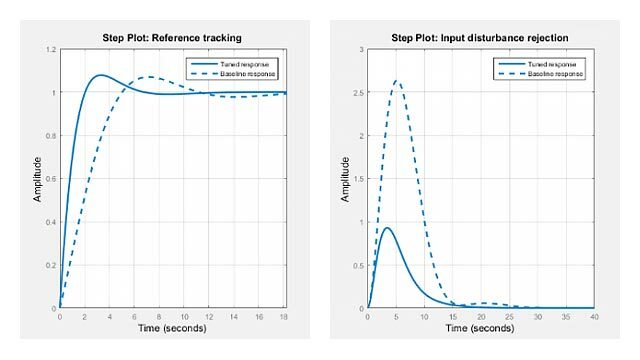 ngrid superimposes Nichols chart grid lines over the Nichols frequency response of a SISO LTI system. 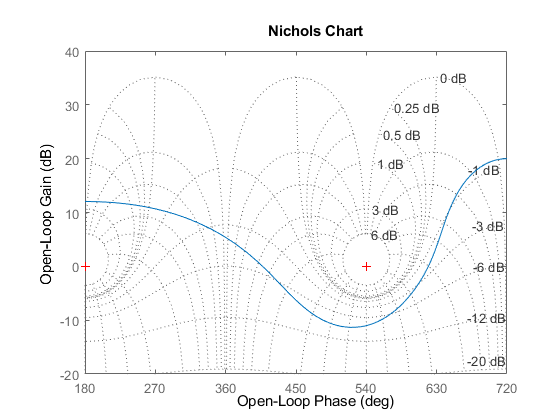 The range of the Nichols grid lines is set to encompass the entire Nichols frequency response. is the corresponding value of the closed-loop frequency response assuming unit negative feedback. If the current axis is empty, ngrid generates a new Nichols chart grid in the region –40 dB to 40 dB in magnitude and –360 degrees to 0 degrees in phase. If the current axis does not contain a SISO Nichols frequency response, ngrid returns a warning. The right-click menu for Nichols charts includes the Tight option under Zoom. You can use this to clip unbounded branches of the Nichols chart.